Comfortable, lightweight design for extended wear. Soft nose pad and adjustable nose clip. Inner panels are constructed of a softer material than the external shell. Lightweight design enhances comfort levels during extended periods of use. Cool Flow™ Exhalation Valve minimizes moisture and heat build-up. Soft nose pad and adjustable nose clip provide a cushioned, secure fit. Inner panels are constructed of a softer material than the external shell. 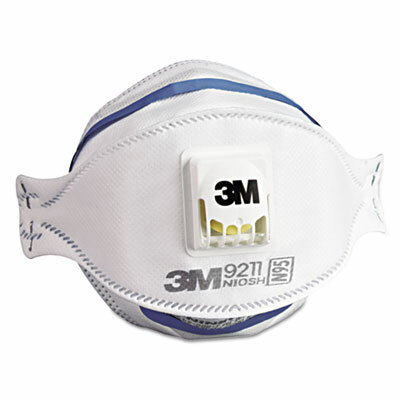 Click here to see more Respirators!